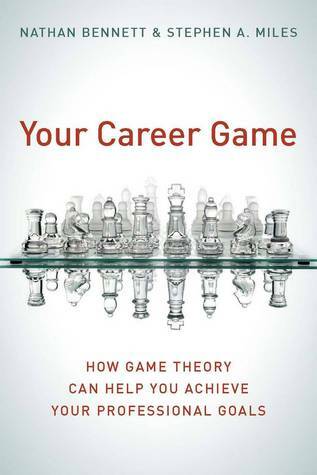 Well written, but don't expect any mathematically rigorous application of game theory. The author interviewed a large number of professionals and boiled down what he felt were the lessons someone could learn from their experiences. It all seems like solid career advice and the overall attitude he advocates for strategically planning your career moves seems sound. There wasn't much application of game theory in this book, but it does talk of various common moves among successful people and generalise it. What I liked best about this book is the conversations with many successful and experienced people and their stories. Quite a bit to learn from there and that can be adapted into our daily lives. Have been looking at the applications of games to work and school lately, hadn't really considered that for careers. Interesting idea, well executed. More later. Good Interviews, You learn a lot from top ceo's and their carrier decision which lead them there. The theoretical discussion combined with executive interviews was very helpful! Must read for people looking about clues how to take their career to the next level.